English quality spun steel pan 30 cm. 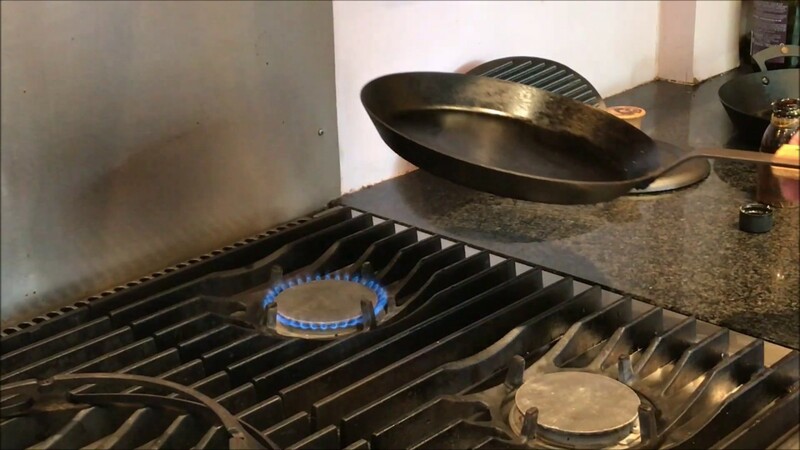 Light pan has the features of cast iron and carbon steel pan. Quality spun steel frying pan 30 cm is made traditionally in England. It has the features of a cast iron and a carbon steel pan but it is much lighter. Weight 1.65kg, 12'' (30.5cm) rim diameter, 10" (25cm) base diameter, 2'' (4.5cm) pan height, 11" (28cm) handle.